Knives that are best for everyday carry must have an adequate size and weight in order to make it comfortable to be carried regularly. 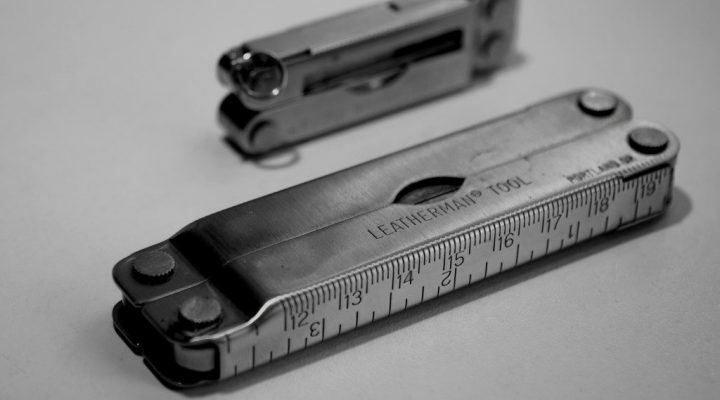 Everyday carry knives fall into two categories when it comes to size. They can be large or small, and a small knife is often better and more practical to have for daily use. They can be a lifesaver as you can have one in person at all times. Large knives are too big and heavy to carry around in the pocket, and may be illegal to carry depending where you live. 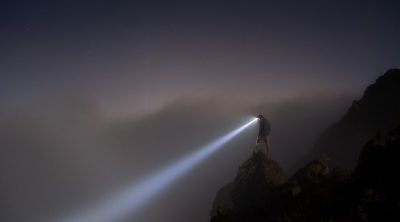 The best small pocket knives for everyday carry are knives that can be easily carried everywhere, even when around the house, due to a good balance of size and weight. You can choose small knives with a sleek, streamlined, and non-threatening appearance which will not easily attract any unwanted attention. Therefore it is suited to be carried for people whose workplace requires them to dress up professionally. One of the other advantages of small knives is precision work and general cutting, whereas tougher tasks can be left to a large knife. The best small pocket knife is an excellent backup for a larger knife if you decide to carry more than one. For those looking to find the best small pocket knives with a 2.4″ to 3.0″ blade, check out our recommended options. The best small pocket knife should be handy, light and unobtrusive and good all rounder that will handle most cutting tasks without issues. You should look at the following items when selecting the best one for you. Small pocket knives have a blade under 3 inches in length. You should check your local laws as to what size you are allowed to have in person. There are different types of locking mechanism. Liner lock, frame lock, compression lock, and others. As with the blade size, some places do not allow you to carry locking knives, so be aware of the regulations where you live. A small knife will have smaller handles. Choose a knife that will be comfortable to hold, good material to aid grip, and with proper ergonomics. You may also opt to choose a knife with slim and sleek handle if you prefer to carry a gentleman’s knife to be worn as a dress accessory. A pocket clip is a very important feature and it will be great to have multiple options when carrying. Tip-up, tip-down with four way pocket clip offers a big advantage as it allows multiple options of carry. Some pocket clips are ideal for deep carry and can conceal most of the knife handle for discreetness. Opinel No. 6 Blade: 2.76"
Opinel No. 6 is a classic folding pocket knife with a 2.7 inch carbon steel blade. The blade has a plain edge with a clip point blade style and its thinness makes it an effective slicer. The carbon blade will rust if you don’t look after it so regular maintenance with oil is a must. 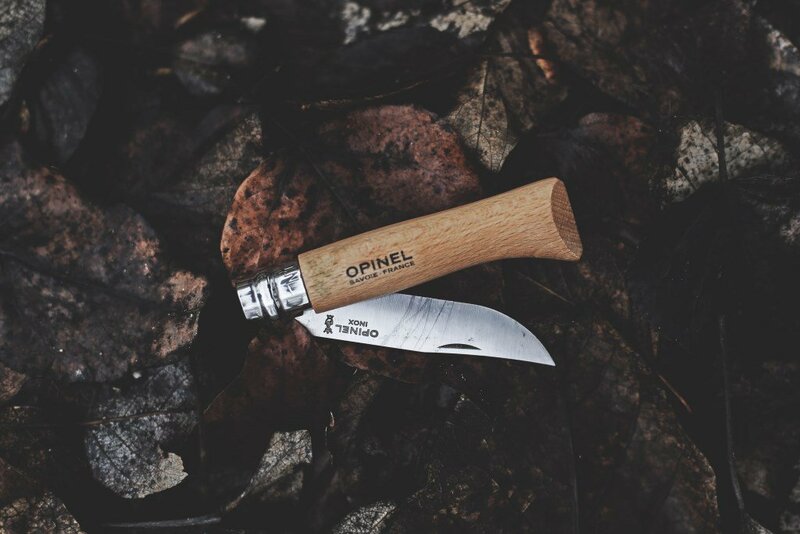 The knife has an ergonomic and durable beech wood handle with a locking collar known in Opinel literature as “Vibrolock” mechanism. This is a safety feature that locks the blade open while in use and also keeps it locked when closed when carried. Designed by custom knife maker Jesper Voxnaes the CRKT Pilar is a small everyday carry knife with a minimal design. It features a 2.4 inch blade made from 8Cr13MoV steel with a thumb slot for easy one handed opening. The knife has a frame lock locking mechanism and handle made from stainless steel with bead blasted finish. This is a low profile knife when carried and the ergonomic design makes for a best small pocket knife. Ontario Knife Company’s RAT series are popular budget knives which has slim design, lightweight, and useful blade for everyday carry. The RAT 2 is the smaller version of Ontario Knife RAT 1 with an overall length of 7 inches. This is a liner lock knife with a Nylon handle. It sports a 3-inch blade is made from AUS-8 steel and a full flat taper grind with satin finish. Superior ergonomics makes this knife easy to handle and the four way pocket clip allows for different carry options. This is one of the best small pocket knives for everyday carry we can consider. A popular EDC knife designed by custom knife maker Ken Onion and the bigger version of Kershaw Chive. Kershaw Leek is a sleek and compact knife with a 14C28N Sandvik steel 3-inch blade. The modified drop point blade with a slim tip makes for good slicing and piercing capability. The handle is made from stainless steel giving it that sleek minimalist look and makes it easy to slide the knife in and out of the pocket. Kershaw Leek features the SpeedSafe assisted opening mechanism allowing quick opening of the knife using the thumb-stud or pulling the flipper. Kershaw Leek strikes the perfect balance of price-to-performance and its clean, sleek looks makes it suited for people who dress-up at work. For those who would want to transition from small knives to carrying larger sized ones, Kershaw Skyline would be a great knife to have. The 3.1 inch drop point blade is very versatile and made from Sandvik 14C28N steel which handles cutting and slicing tasks well. The handle is very lightweight with G-10 scales and deep index-finger contour that offers a secure grip. This knife has an extra thin profile, light weight, and ideal for discreet carry. handle is made from FRN with bi-directional texturing for improved ergonomics and better grip. 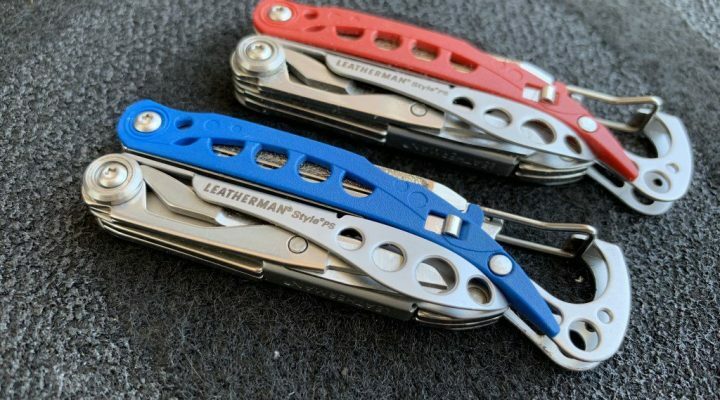 The pocket clip can be adjusted in four different positions to allow multiple methods of carry. with textured pattern for good grip. You can easily open the blade using the thumb stud or use Benchmade’s ambidextrous AXIS lock system. It provides good action and you can easily deploy the blade or close the knife with a simple flick. Benchmade Mini Grip is one of the classic knives that you should have. very smooth action. The liner lock mechanism is very solid and the knife comes with a non-adjustable pocket clip for tip up carry. Boker Plus Urban Trapper Petite is an ideal lightweight gentleman’s folding knife for everyday carry. Buck Vantage Pro is a compact EDC knife with a 2.6 inch S30V steel drop-point blade with good edge retention, toughness, and corrosion resistance. The knife can be opened using the index flipper or by the thumb hole in the blade, and locks open using a stainless steel liner lock. The handle scales are machine G10 with grooves to provide better grip. It comes with a reversible deep pocket, tip-up carry clip. Spyderco Para 3 is the little brother of Spyderco Para Military 2 and now becoming popular choice for everyday carry enthusiasts. It is the smaller easier to carry option for those who prefer to carry a smaller knife with a proven design. It has a 2.95 inch blade made from CPM S30V stainless steel with full flat grind design for best performance. The handle has G10 scales with stainless steel liners that supports the reliable Compression Lock mechanism that locks the blade securely open when in use. Four position clip deisn allows for tip-up or tip-down carry. The smaller version of Benchmade Freek. Benchmade Mini Freek is related to Benchmade Mini Griptillian but it has a 3-inch CPM-S30V steel blade. The handle materials are Grivory with Versaflex overlays for durability and better grip. Opening and closing the blade is a breeze using the thumb stud or using Benchmade’s ambidextrous AXIS lock system. One-handed deployment of the blade is an easy task. Spyderco Native is an iconic knife design from Spyderco. Here now is the Spyderco Lil’ Native, a smaller version of the knife with a 2.45 inch blade. It has a flat ground CPM-S30V stainless steel blade and G10 handles scales that gives a slim profile and good texture. 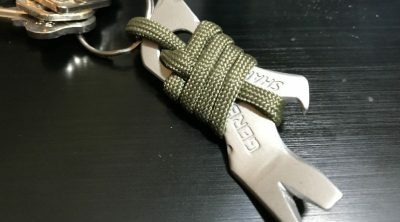 It also incorporates a high strength Compression Lock mechanism and low-profile deep pocket reversible wire clip for tip up carry. Kizer Zipslip is a sleek looking folding knife with a 2.84 inch drop-point CPM-S35VN blade. This is a unique modern slip-joint knife design with an Everflush backbar which is its main feature. This combined with the thumb hole opener allows easy one handed opening. The lack of a locking mechanism makes the knife legal to use in places where having a knife with a locking blade is not allowed. 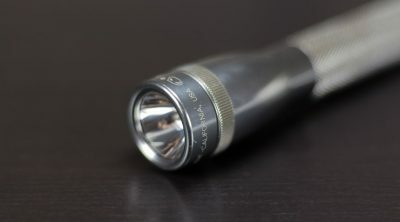 The 6Al4V Titanium handle has a fluted design which helps in grip. The deep carry pocket clip with flush screws for discreet everyday carry in your pocket. Benchmade Valet is basically a more streamlined and compact version of Benchmade Mini Griptillian. This is a perfect gentleman’s carry knife with a 2.96 inch Bohler M390 steel blade. The contoured gray G10 scales with stainless steel liner looks sleek and minimal with clean and smooth lines. The deep pocket carry clip conceals the knife well when carried. Chris Reeve Small Inkosi is a small, light, and high end folding pocket knife. This knife is the shorter version of Sebenza with a thicker blade. 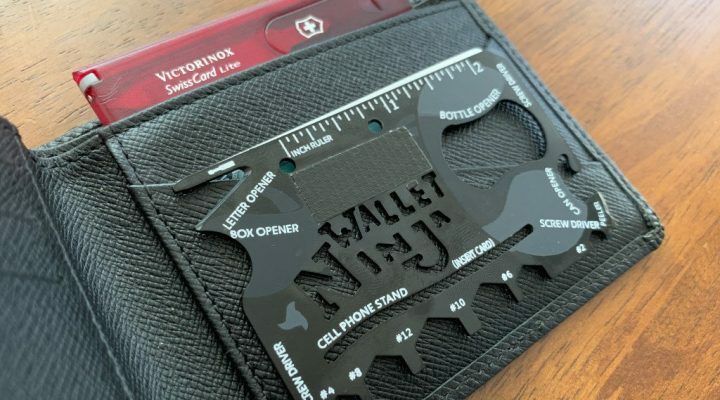 It utilizes a 2.7 inch blade constructed from S30VN steel with a hollow ground edge for strength and durability keeping the edge sharp for a long time. The bead blasted 6Al4V Titanium handle has a ceramic-ball integrated lock bar for added stability to the frame-lock mechanism. Chris Reeve Small Inkosi excellent craftsmanship with high quality materials makes it one of the best small pocket knives ever made. It is a must to have for the one that needs the very best.